At Le Cordon Bleu Japan, after students obtain their diplomas in Cuisine, Pastry, or Bakery, we offer them the opportunity to strive toward their goals through continued learning on their own. Graduates can improve their skills and increase their knowledge and ability. Career Services are here for you as you enter the food industry as a professional on your path to success. We are pleased to offer our Professional Experience Programme (fees apply) to Le Cordon Bleu Japan graduates of Cuisine, Pastry, or Bakery with sufficient academic standing. You will be given the chance to learn from top-tier chefs from a carefully selected roster of high level kitchens in hotels, restaurants, pastry shops, and bakeries. For students with professional aspirations, use this one-month programme to gain invaluable experience towards your new career. Experience real kitchen environments through the Professional Experience Programme. Develop a network while working. Garner trust from our industry partners and develop industry connections. 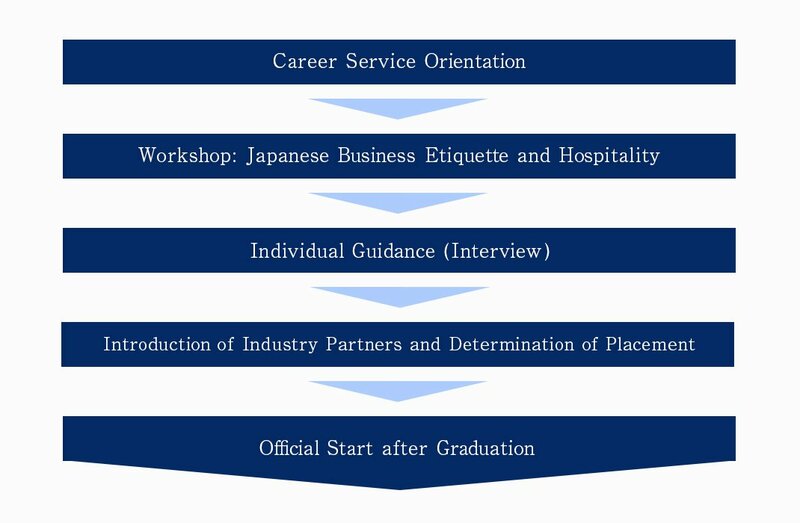 Learn Japanese etiquette and business manner as well as C.V. writing and interview skills through our special workshops. Specialty Shops : Famous pastry shops, bakeries, etc. Job postings are available for students and graduates of Le Cordon Bleu Japan Tokyo School, primarily from the restaurant industry. To view job postings, click on the Graduate Portal link below. For industry parties interested in posting job information at our school, click the following Recruiter Portal below.